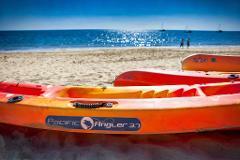 Great Family fun exploring the safe waters of Hervey Bay. Single or double Kayaks available. Group discounts. Safety equipment supplied. 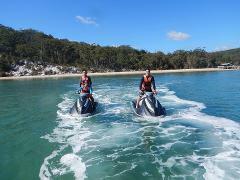 The Fraser Island Jetski Safari offers guests a truly unique way of experiencing the icon that is Fraser Island. The Australian Boating College is Australia’s biggest training provider for recreational boat licences and Aquavue Cafe Watersports is the Australian Boating College facility in Hervey Bay. 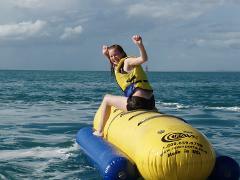 Enjoy an exhilirating ride on the Big Banana down at Aquavue Cafe Watersports. All watersports safety equipment supplied. Maximum 5 people per ride. Great Family fun exploring the safe waters of Hervey Bay. Group discounts. Safety equipment supplied.